Coca-Cola Christmas in the Park is BACK for its 25th celebration! 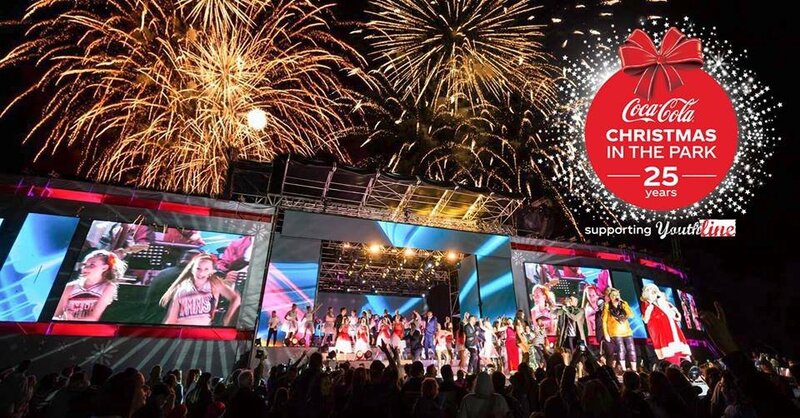 Taking place in North Hagley Park, come join us for one of New Zealand's biggest multi-cultural showcase of talented singers, dancers and musicians, as well as FIREWORKS at our FREE outdoor Christmas party! The country's top singers, dancers and musicians will ignite the big stage, performing your all-time Christmas favourites and hottest hits. Once again Coca-Cola New Zealand and Coca-Cola Christmas in the Park are getting behind Youthline - developing and supporting young people across New Zealand. We invite you to get together with your family and friends and come along and celebrate 25 years of happiness.